The world has gone digital. In our lives and in our professions, we all reach for our laptops, tablets and smartphones to get things done. Building contractors, of course, are no different. In the past five years, there has been a dramatic shift in how they gather information, interact with building products distributors, and purchase products. In fact, in a recent Point To Point research study of building products distributors, almost one-third of the respondents said 50% or more of their sales came from online purchases. In addition, a 2015 U.S. B2B Buyer Channel Preference Survey indicated that more than 50% of contractors said they preferred to research information online. Clearly, to win with today’s contractors, your brand must be present digitally and be more proactive in the channels they prefer. From digital advertising to search engine optimization (SEO) to focused website design to social media, you must provide them with an array of online connection points. These digital platforms allow your contractors to quickly find and access the resources and solutions they want, which helps them through the decision-making process. As a result, they are more influential. They’re more discriminating. And they’re more demanding — with higher expectations of your company and your brands. 1. Understand your target buyers. Used wisely, social media is a particularly powerful way to build contractor relationships. 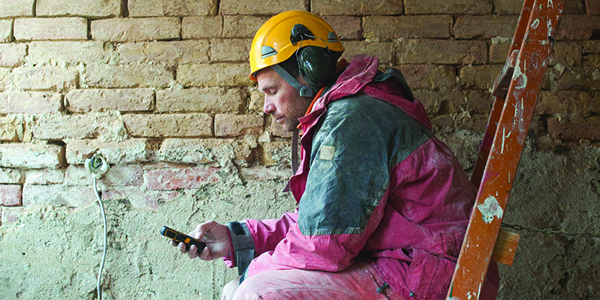 According to a recent Equipment World Connectivity Study of 4,000 people in the trade, more than a third of those surveyed (37.8%) said they used their smartphones to visit social media sites. 43% said they visit LinkedIn. 3. Become a knowledge provider. Building contractors are constantly seeking out information. They want ideas that will help them do their job better and more efficiently. They’re looking for products that give them the competitive edge. Where do they go to find this information? Online, of course. So be their go-to resource. Videos are an ideal medium for new product demos and tricks of the trade. Blogs and other types of articles are helpful to builders who want to learn about the industry trends that might affect their business. With a comprehensive strategy, you can quickly become the building contractors’ expert source for information. And, trust is a great start to building brand loyalty. 4. Become the best service provider: Answer their questions. Solve their problems. Contractors also will visit your website to resolve issues. They understand that problems may arise occasionally. If they are able to find the information that solves the issue on your website or other digital outlet, they just might become customers for life. Once the contractor has decided to become a customer, you have an opportunity to build a business relationship by offering the technical support they need. Make sure your website carries complete product information, including dimensions, costs, production time, available ship dates, and installation requirements. Create product application and installation videos to house on your website and on channels such as YouTube. Want to learn more about building an effective digital marketing plan targeting contractors? Contact Point to Point for customized strategies.